© Estate of Ralph Rapson. Photograph by R. H. Hensleigh and Tim Thayer. Although Ralph Rapson’s right arm was amputated in infancy because of a deformity, he fulfilled his dreams of becoming a draughtsman and architect. Between 1938 and 1942, Rapson pursued graduate studies at Cranbrook Academy of Art and worked as a designer in Eliel and Eero Saarinen’s private architectural practice. Afterwards, as a principal in his own firm, Rapson established himself as a prominent mid-century modernist architect and also taught at the Illinois Institute of Technology and the Massachusetts Institute of Technology before assuming leadership of the School of Architecture and Landscape Architecture at the University of Minnesota in 1954. Today the school is named in his honor. 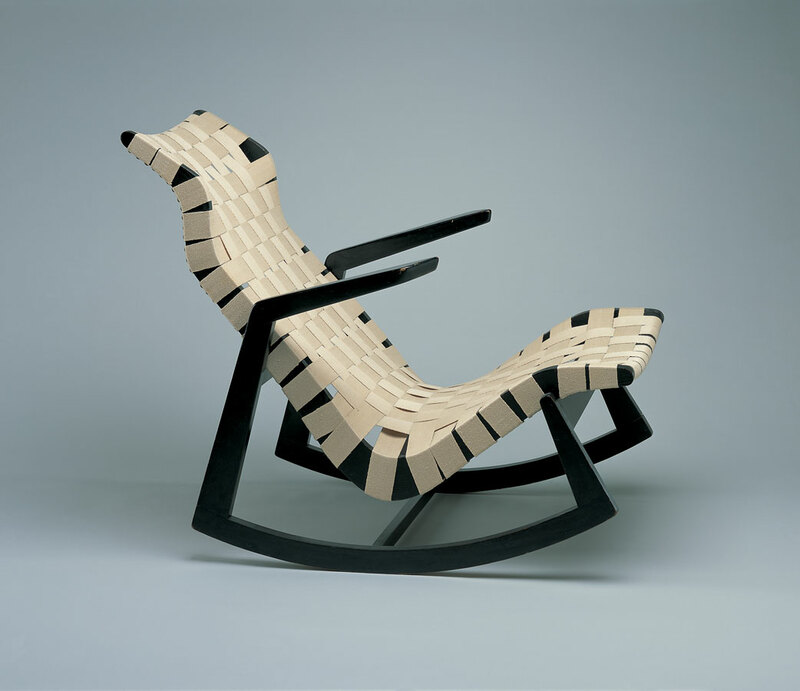 Rapson submitted plans for the Rocking Chair as a part of his entry to the famous 1941 “Organic Design in Home Furnishings” competition sponsored by the Museum of Modern Art. In 1946, at the instigation of his old Academy friend Florence Knoll, Rapson revived the design for production. He became the first of many Cranbrook-trained designers to work for Knoll. Cranbrook Art Museum also owns an extensive collection of sketches for Rapson’s chair designs.